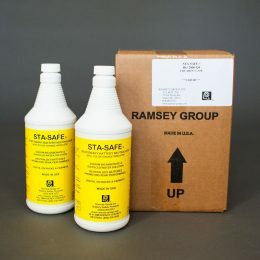 Safe and effective method for controlling incidental acid spills. Kit contains personal safety wear, clean-up equipment and Neutralizing Acid Adsorber™. 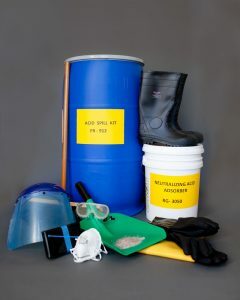 All material contained in 30 gallon poly drum with factory seal. 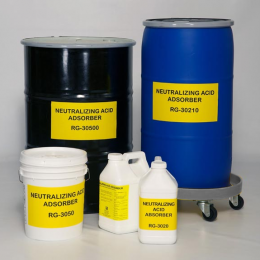 Neutralizing Acid Adsorber ™ (48# pail). Satisfies Regulatory Requirements: O.S.H.A. Regulation 1926.441 & 1910.178.